There is a lot said about the advertising industry, not all of it positive, but after post-Oscars backlash, we can say that our awards season tends not to carry much controversy with it. Over the past several weeks while Hollywood has been glitzing it up, many of us in advertising and marketing have been tracking the awards in our industry. 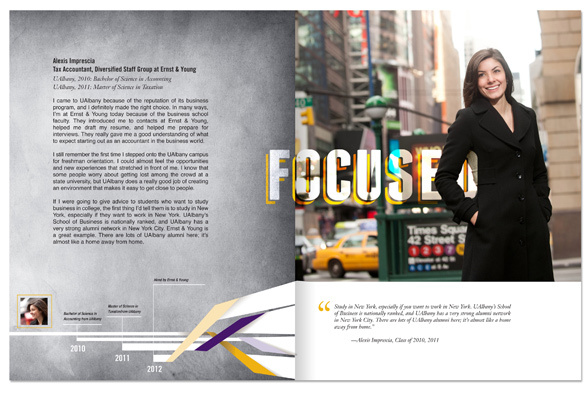 Yesterday we received word that our work had been recognized in the 28th Annual Educational Advertising Awards. 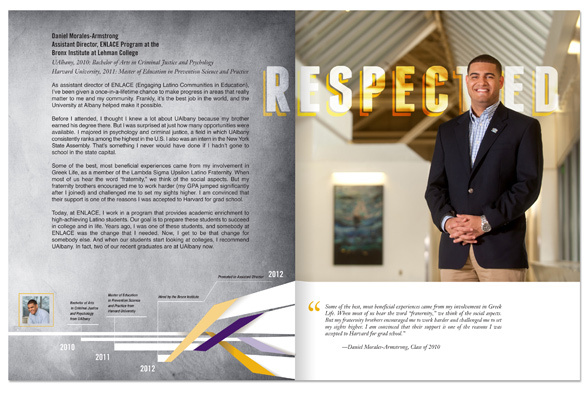 We were awarded a silver for our work for the purple and gold at UAlbany. 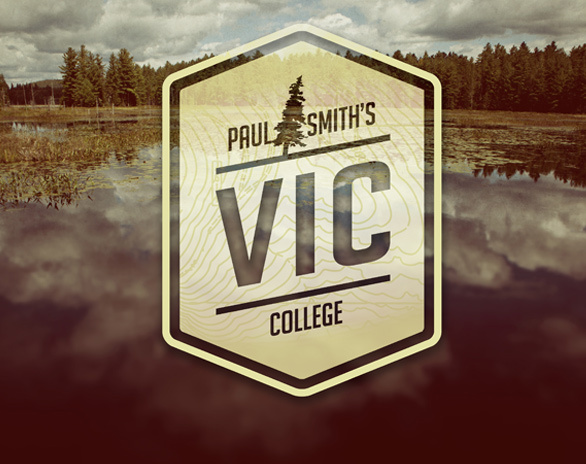 The logo we created for The VIC at Paul Smith’s College received a merit award. 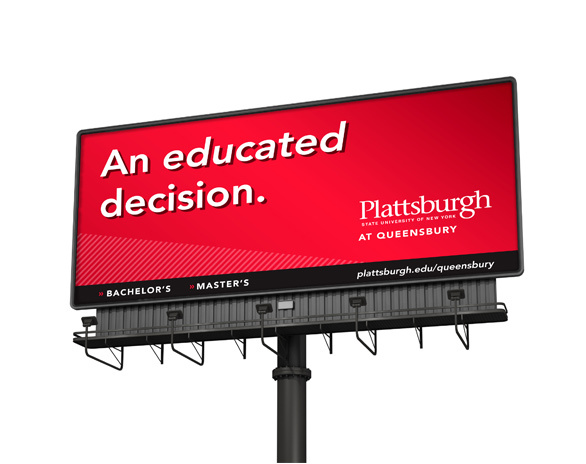 The billboards we created for the SUNY Plattsburgh at Queensbury campus also received a merit award. The regional communications equivalent of the Oscars, long known as the NORIs, happen this Friday. The Ad Club has rejoined the American Advertising Federation, which is why instead of the NORIs, the event will be called the Albany ADDY Awards. This year there is a Mad Men theme, being a creative bunch we plan to go dressed in a thematically appropriate way. Our efforts to look the part will be a way that we honor our old friend Patrick Sisti. He never met a costume he wasn’t willing to wear. The Ad Club will be celebrating his memory and we look forward to being a part of this evening. Award ceremonies, trophies and the celebratory announcements that follow them are all wonderful. However as we reflect on the road we took to create our body of work, we linger on the idea of community and of trade. Behind analytics and buried beneath proofs and tear sheets, there is the spark that started it all. It’s the spirit of a creative who, while taking the train to the city or hiking Sleeping Beauty, spies something that they know they can use to build a concept for a capital campaign. It’s the copywriter scribbling headlines on a cocktail napkin or the art director refolding a sheet to create a more compelling mailer. Right now we are proud to be a part of the sometimes undersung community who takes risks, makes mistakes, and disappears into the character of a project in order to delight an audience. It’s a pretty incredible thing to have the privilege of working in this industry and calling so many amazingly talented and imaginative people our peers.